Magical Waterfront Estate home and guest cottage located right on the point of Seaview Lane. Sunny south exposure, AMAZING vistas and sunsets right from your back yard, decks and pool. This estate has only been owned by one family and has been lovingly maintained. Not many properties come on the market in this neighbourhood where you will find a true sense of community. 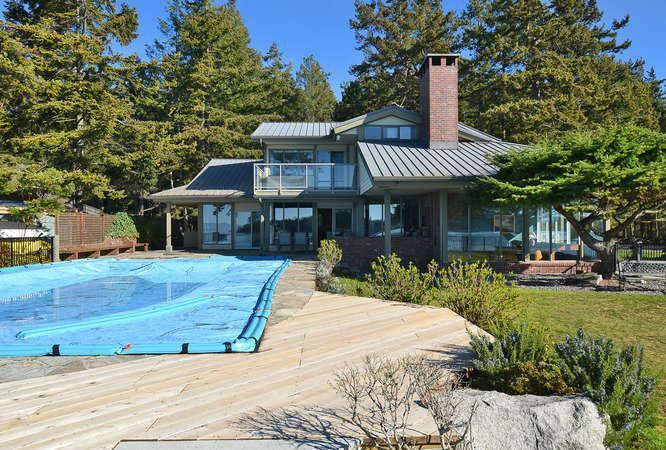 This spacious home has all of it's original character and charm and has sweeping views of Georgia Strait and Trail Islands. All principal rooms face out to the water and the ever changing views and has great space for entertaining. Custom stone fireplace, an elevator, indoor sauna, metal roof, outdoor kitchen & BBQ area and new Hardi* siding are just a few to mention. DO NOT ENTER PROPERTY WITHOUT AN APPOINTMENT! !